The flagship model of the Elie Beaumont range. 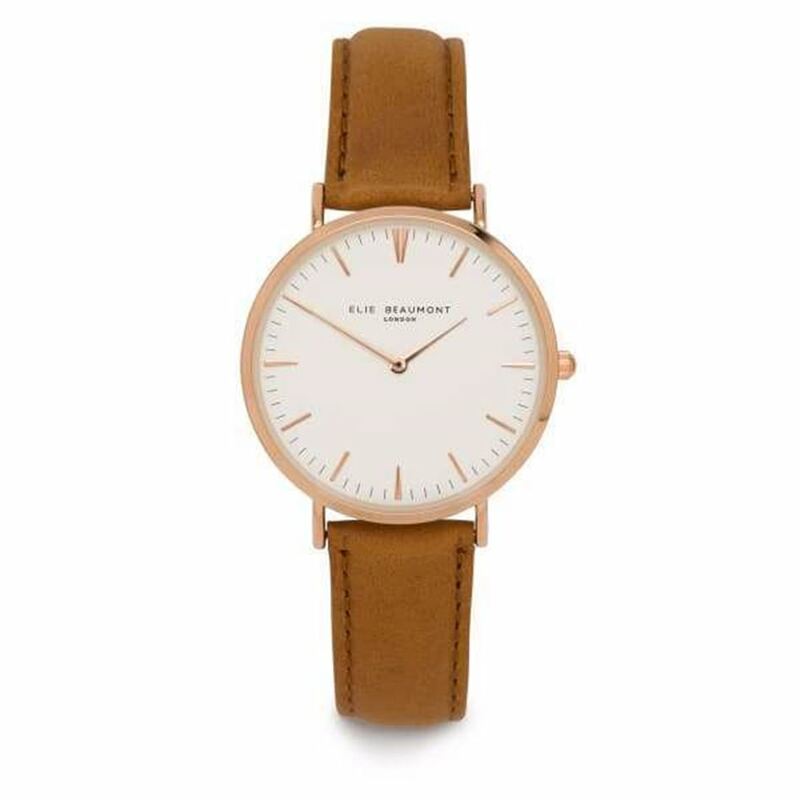 A slim watch featuring a classic dial design, emboldened with distinctive tapered indices. Vintage styling enhanced with a dark berry nappa leather strap.